A local theater was quick to jump on board after Aurora in disarming and endangering it's customers and inviting evil by making a soft target. Such an illogical choice. Mere hours after a coward massacred 9 innocents in South Carolina President Obama took the opportunity to condemn inanimate objects and their accessibility rather than placing the blame on an evil, cowardly, lunatic. And while dozens of gun grabbing politicians prepare their position to disarm the citizenry, the panic buying has begun. Hopefully it isn’t widespread, but I had friends telling me how lines were out the door of gunshops this weekend in their towns. If anyone is to blame beside the murderer in these instances, it’s the legislators who continually disarm law abiding citizens by infringing on the right of the people to keep and BEAR arms so they might defend themselves. A local theater was quick to jump on board the “No Gun Zone” wagon after Aurora by disarming and endangering it’s customers therefore inviting evil by making a soft target. Such an illogical choice. 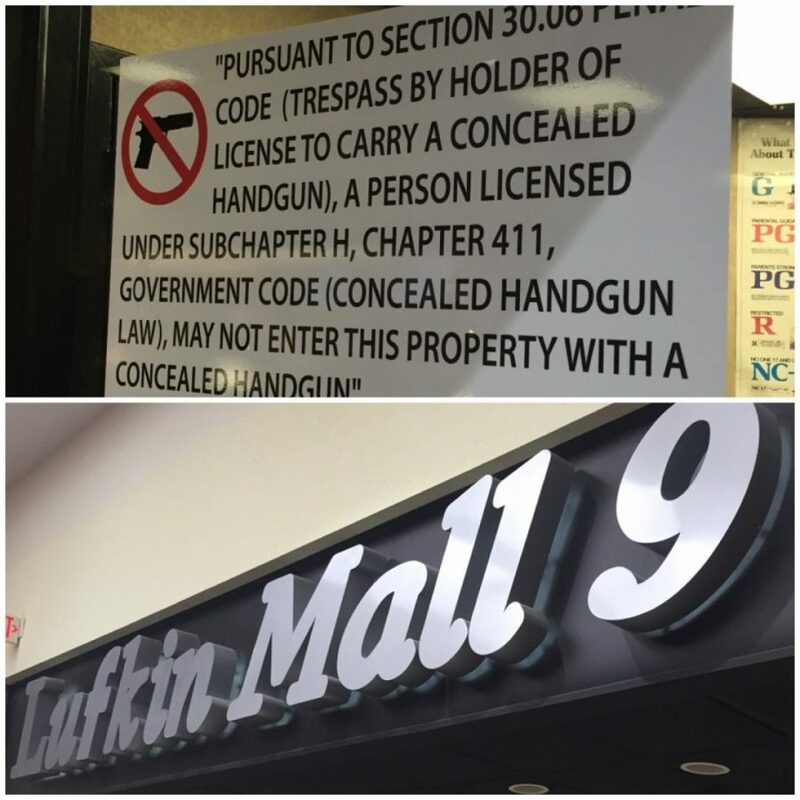 So for all my Texas friends, I will confirm that it is perfectly legal to carry in church (PC §46.035.i) if you have your CHL unless the church has posted the 30.06 signage (I have only seen one that did this, it was in DFW). And for liberty hating opponents who say, “well he wouldn’t have killed so many if we had an ‘assault weapon’ ban, or ‘magazine ban’ or ‘universal background checks’ or ‘unicorns and rainbows'” I answer that is doesn’t matter what tool a fool uses. Criminals don’t obey the law, the goon in Charleston was banned by state law from purchasing, owning, or carrying a firearm due to his felony drug charges. Background checks don’t apply to criminals who steal guns. Mass murder can occur with just a knife. But an armed citizen can stop it cold in it’s tracks. Just like Jeanne Assam did at her church in 2007. So don’t disarm me from the best form of protection I have. Get training, get equipped, stay alert, pray hard, and shoot straight. For the enemy roams around like a roaring lion, seeking whom he may devour.